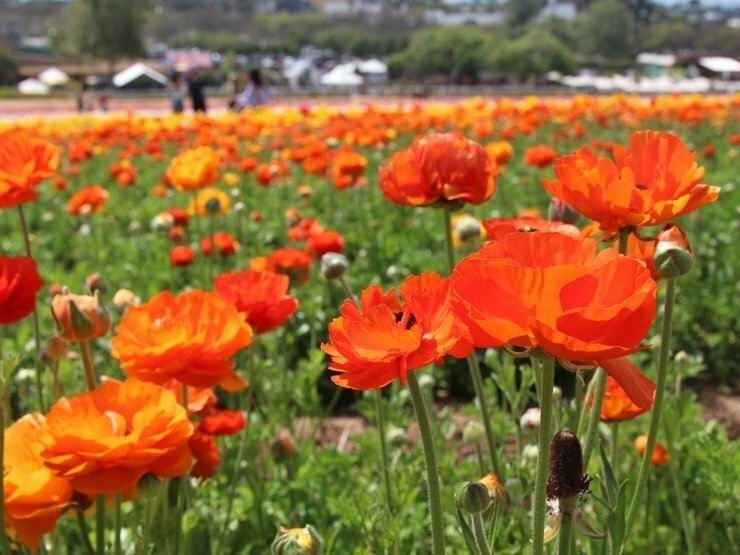 Spring is officially here and that means it’s time to get outside and enjoy it! 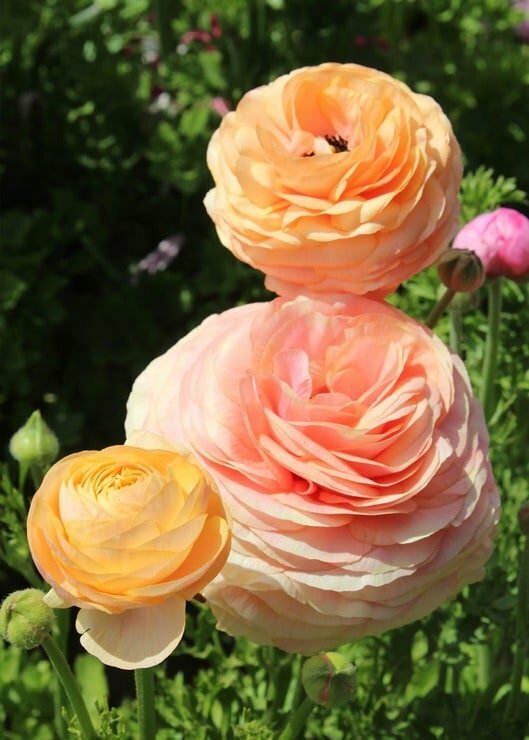 One of my favorite things to do this time of year is visit the ranunculus fields in Carlsbad, California. I take pictures of the flowers then bring some home to decorate my table. 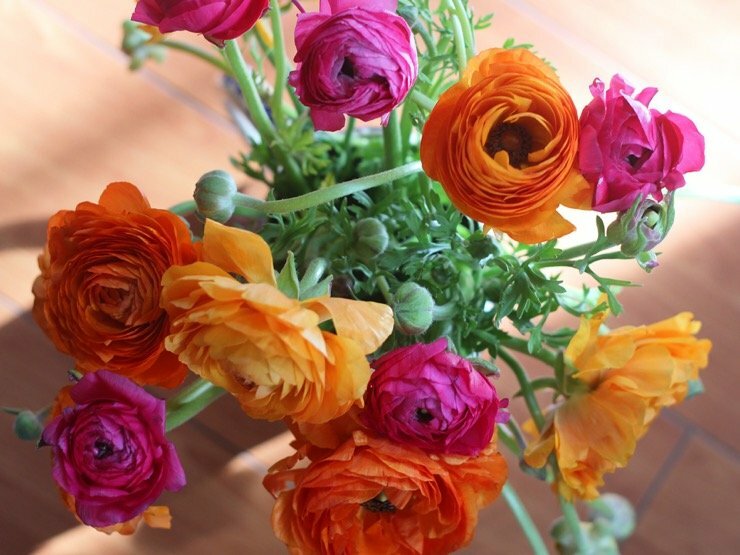 Ranunculus blooms are so bright and playful. I love their many colors and happy, wild, growing-every-which-way stems. These early blooms signal the return of warmer weather and banish any residual wintertime blues. Throw them in a pretty vase or vintage pitcher, invite some friends over, and before you know it you’ll be making plans for drinks on the patio! Ranunculi bloom between March and May, just when cooler temperatures of winter are starting to subside and warmer days begin. You’ll find them in all kinds of places, from Trader Joe’s to the farmer’s market. 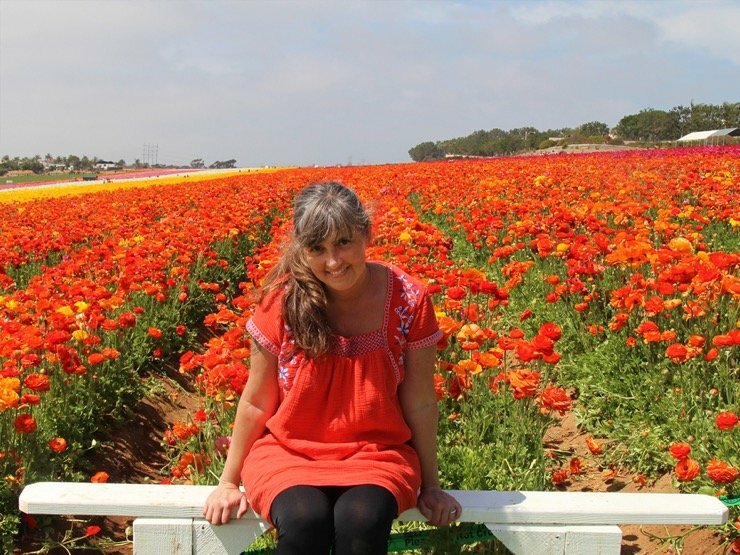 I prefer to pick them straight from the source at The Flower Fields at Carlsbad Ranch. It’s become one of our springtime rituals each year. From soft pinks, peaches, and corals to white, golden yellow, bright oranges, reds, and fuschia…and even rich chocolate and caramel browns, it’s no wonder so many spring weddings feature these pretty petals in their bouquets and table centerpieces. 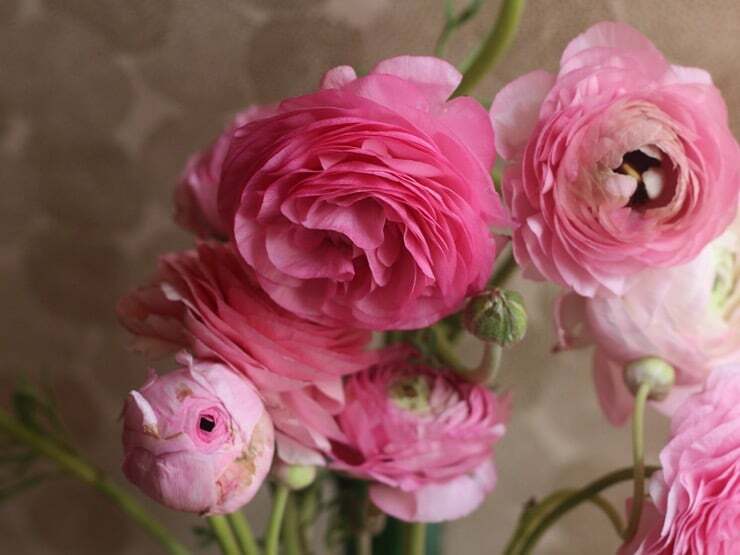 If you have a theme, there is probably a ranunculus to match it! As you saw in our matzo paper craft post, they can brighten up any table. Personally, one of my favorite things to do is save a few stems and put them in tiny cups and vases all over my house. 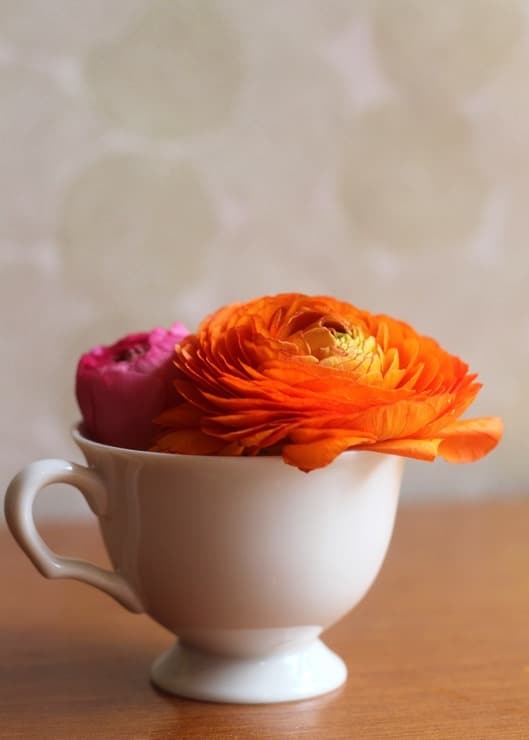 There is nothing more pleasant than a tiny bouqet to brighten up a guest bathroom or cheer up a desk that might otherwise be covered in boring paperwork. 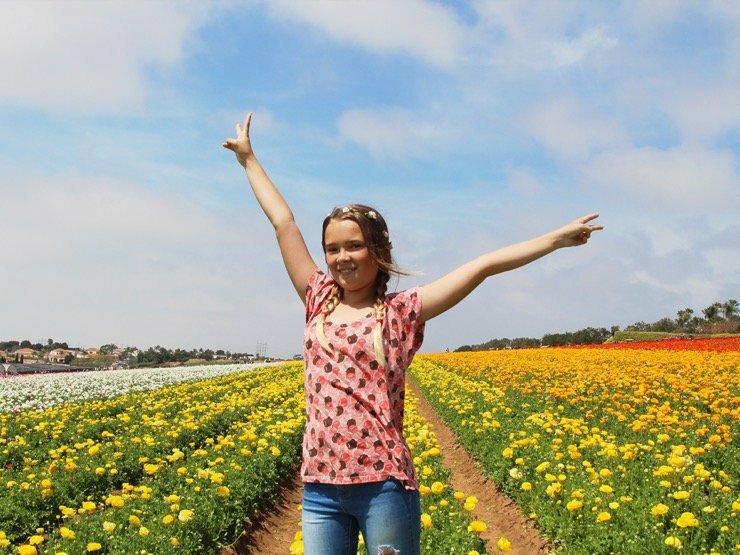 If you have a moment to spare or you are looking for fun outdoor activities with your kids you must add the Flower Fields to your itinerary. 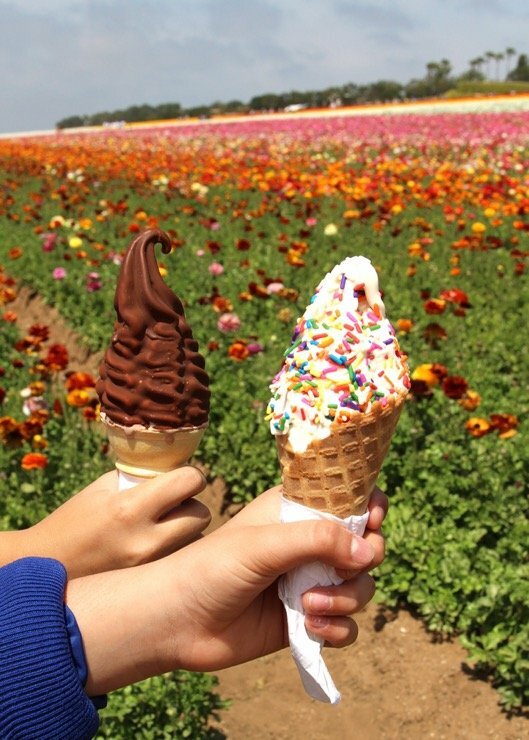 Unlike most Social Media photo destinations these days, the Flower Fields handle crowds pretty well. This is probably because they’ve been at it since before Yelp or Instagram were a thing. The fields have been a photographer’s dream destination for decades. The farm itself has been around since the 60’s. 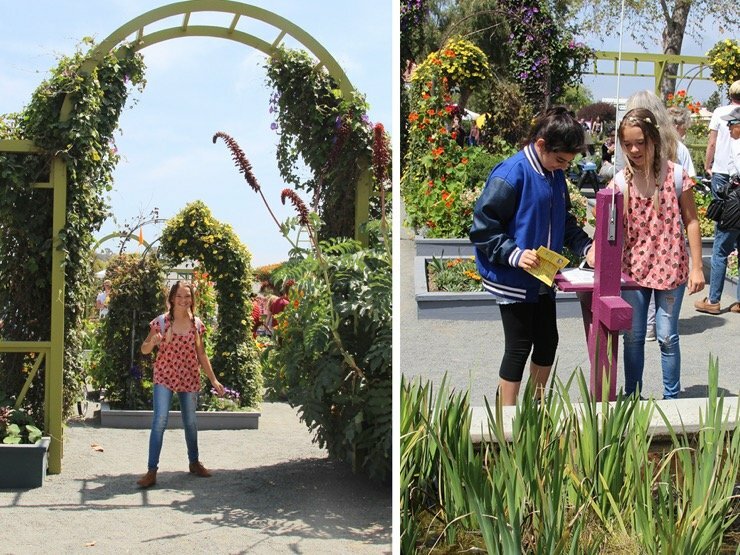 Armstrong Gardens took over the attraction in 1999; since that time, it has become a rubust working ranch and a recognizable landmark. While you can’t run and romp through the fields, there are many little inlets created just for those of us who like to take photos. 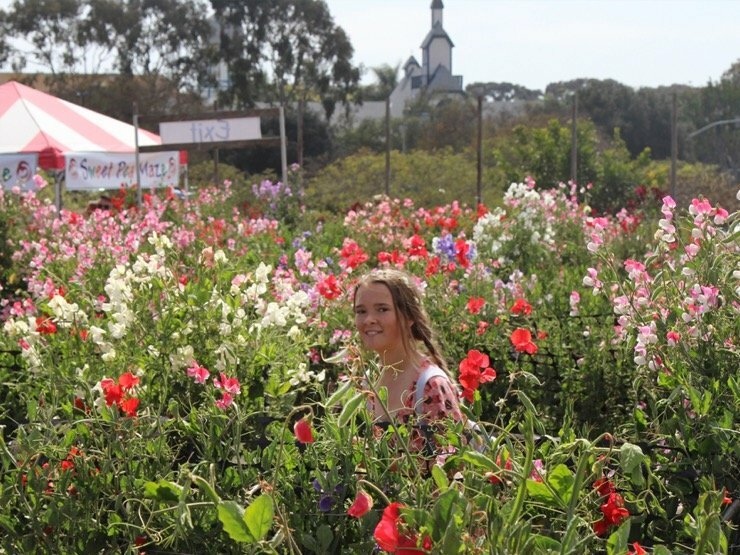 In fact, with just the right camera angle you can sit down in between rows and take a picture that looks like you are swimming in a field of blooms. We like to hike to all the colors and take a shot in front of each. Then just when you are starting to get a little tired of walking around in the sun you can stop by a lemonade stand for fresh squeezed lemonade! Or pop into the greenhouses and check out the orchids and rare breed poinsettias. 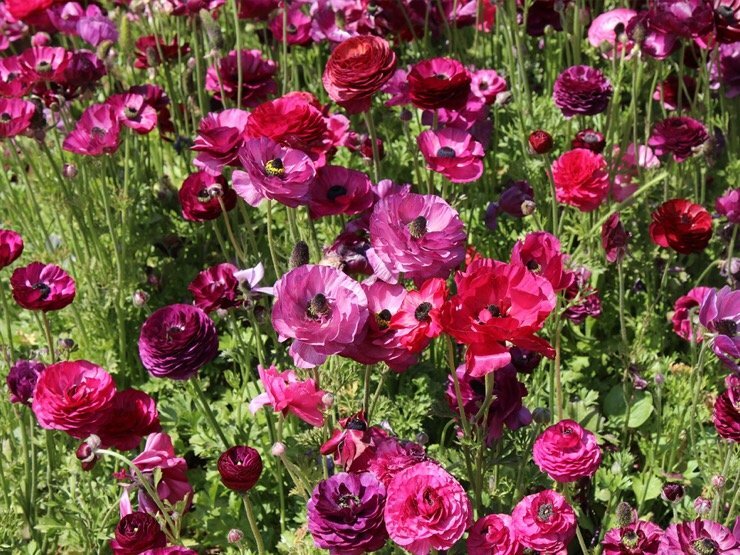 If browsing the many varieties of plants doesn’t excite you, then maybe panning for semi-precious stones, romping through a giant sweet pea maze, or polishing down a sprinkled covered soft-serve ice cream cone might! I love that there are so many activities for every age. Those who don’t like to run in the wide open spaces between the flower fields can stop and rest in the shade of many beautiful gardens. Children are given flower passports at the entrance and can go from station to station to collect stamps. 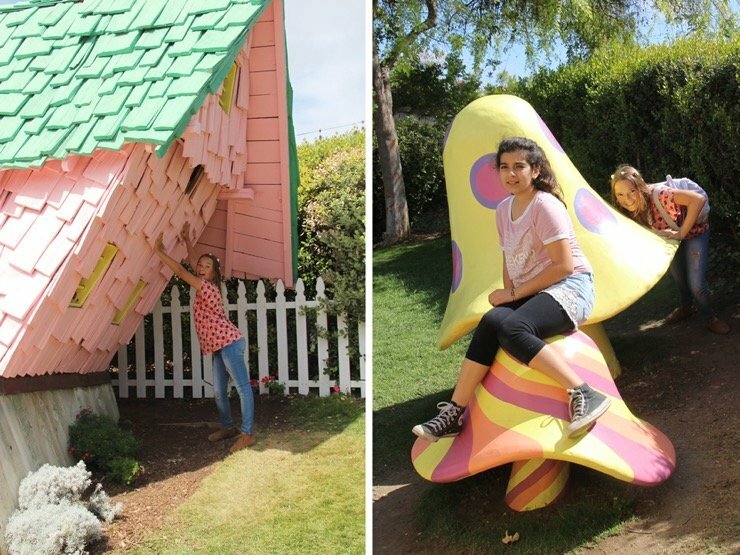 If they aren’t interested in checking out the koi ponds or watching pigeons roost they can run off to Santa’s Village and climb on psychedelic-colored mushrooms or explore the funny slanted cottages. There’s no lack of things to do. Just make sure you wear sunscreen, bring a hat, and come prepared to buy snacks! And of course, don’t forget your camera! 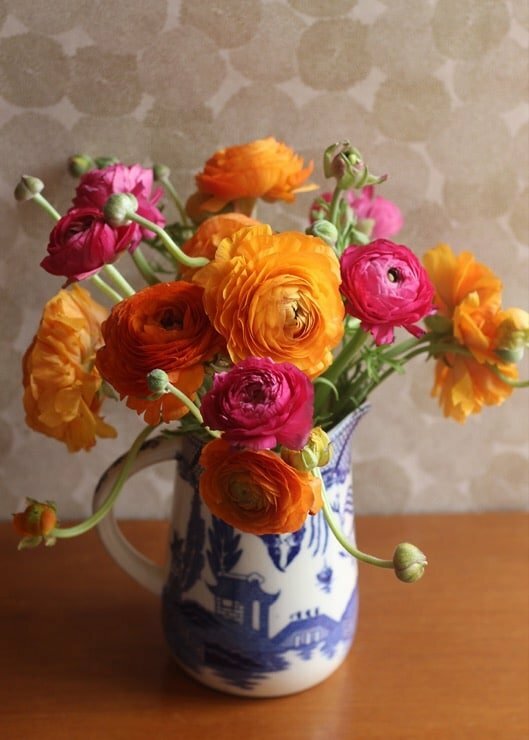 At the end of the day, you can bring some beautiful blooms home to decorate your springtime table. 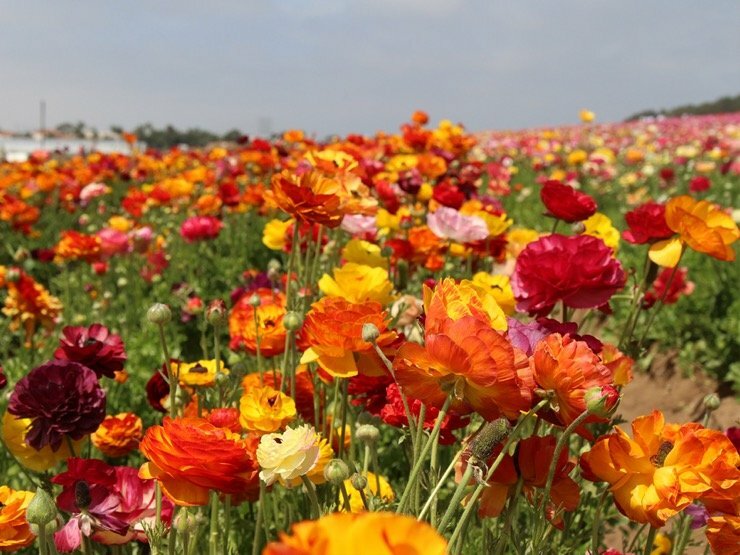 I spent my teen years in Carlsbad (60s & early 70s) and have wonderful memories of biking up and down the coast, stopping at the ranunculus, picking those that were broken on the ground. In those days there were no fences to keep people out. 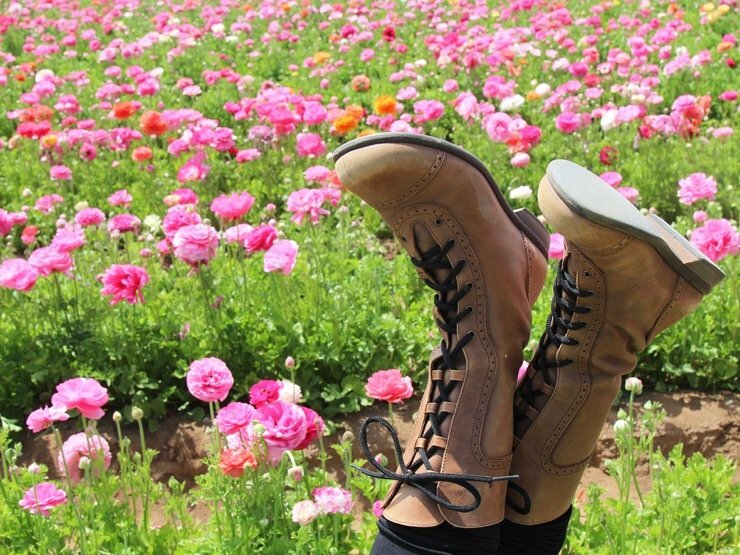 My friends and I would sit among the colorful fields, talk, dream, and take in the beauty. 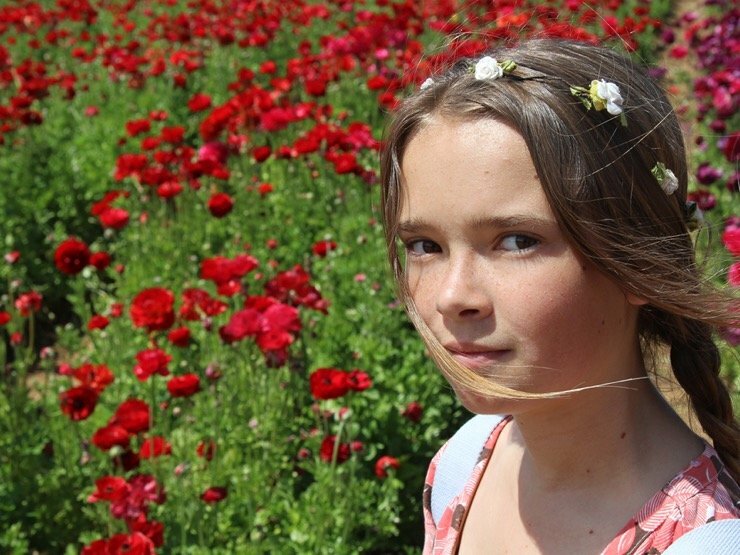 Nothing more gorgeous than the flowers on one side and the ocean on another! Thanks for the memories. 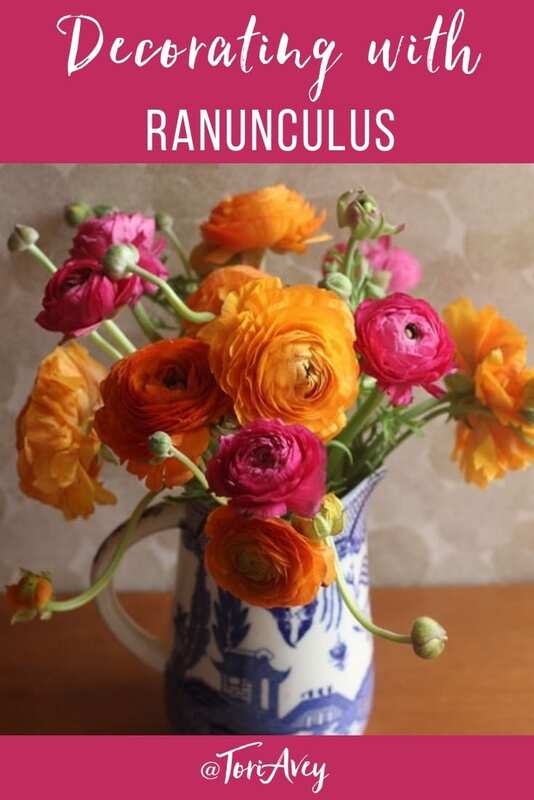 I loved this article!💗💕❤️ Forever, ranunculus are my favorite flower for display. I tried to grow since my childhood, with no luck. This year I got bouquets at Trader Joe’s every few days! Probably from Carlsbad Ranch. I gave yellow to my 99 yr old friend and pink/orange/red to his daughter since she broke her leg, providing joy to all! Thank you for the beauty. 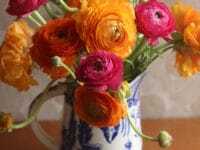 I think this is the first time I’ve ever realised how gorgeous ranunculus are! Thanks for sharing this!